Those are so cute :) Perfect gifts with Valentines day just around the corner too :) thanks for sharing! Thank you. You have so many wonderful patterns. I had fun making this bookmark. 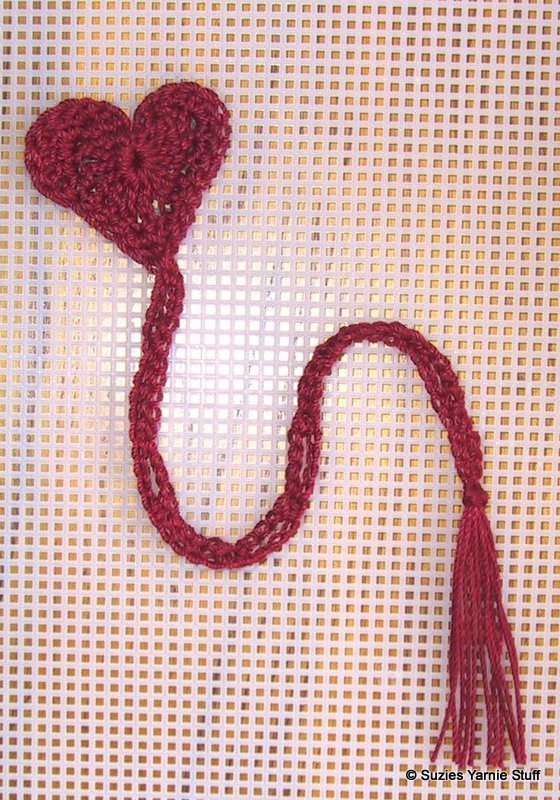 It worked up fast and I love that it's a true heart shape- not all crocheted hearts are. Thanks for sharing your patterns.